2018 was Polec’s career best year, hence why the Kangaroos threw so much cash at him to bring him to Arden St. He beat his previous best average (which came in 2017) by nearly 10 points going from 82.7 to 92.2 and played his first ever full season of games. He has had his injury concerns in the past but has only missed the one game in the last two seasons. He was playing off a wing and spending some time in the midfield which saw him rack up an extra 3 possessions a game on average, and they were all kicks. He does have a great kick (left only) so there is no reason why the Roos won’t want the footy in his hands and that is where he could maintain those points that he picked up last season. North have clearly recruited him for a specific role, and that is to provide some outside run and forward penetration with his kicking. He is certain to get plenty of minutes and will be given a level of freedom to run and carry the ball. The fast pace of the Marvel Stadium surface is certainly going to aid his game. He scored a 92 there in round 4 against Essendon in a loss last year and then his season high of 156 in round 6 in the win against North Melbourne (perhaps that is why they recruited him?). So we can see that he does like playing there. 2018 was easily Polec’s career best to date and as a result he is fully priced (Calvin will be all over him then!). With this being 10pts better than his previous best there is always the concern that he won’t get much higher than this. Added to that is we simply don’t know yet exactly how Brad Scott plans on playing him. We can only assume that it is in the same role that he had at Port. Prior to 2017 when Polec missed a heap of games it was predominantly to do with feet issues. Now that he will be playing at Marvel Stadium every second week or so, this could cause concerns for him with that injury a chance to reappear. I can’t be exactly sure when it was but I do recall him being rested for a game when Port were playing at Marvel (then Etihad) due to fears about his injuries re-surfacing. Perhaps he is over this now as he hasn’t had any issues playing there last season, but for me, it is a concern. His career best year has seen him now priced just $5k cheaper than Dusty Martin who was down compared to his standards last year, just $2k cheaper than Marcus Bontempelli who was also down last season and $9k more expensive than Tim Taranto who is a player many see as being on the rise. Add to that players like Rory Sloane ($16k cheaper and 16 points underpriced based on previous years) and Jack Viney ($65k cheaper thanks to a discount for playing less than 10 games) and you can see that there are plenty of tried and true as well as up and coming players who should all increase their scoring output as well as their value rather than Polec who is coming off his best season ever. He is susceptible to the tag, when he has had someone follow him in the past he gets frustrated and doesn’t see a lot of the footy. All the tagger has to do is force him to go on his right hand side and he is in trouble, he simply doesn’t have a right leg and all taggers know it. 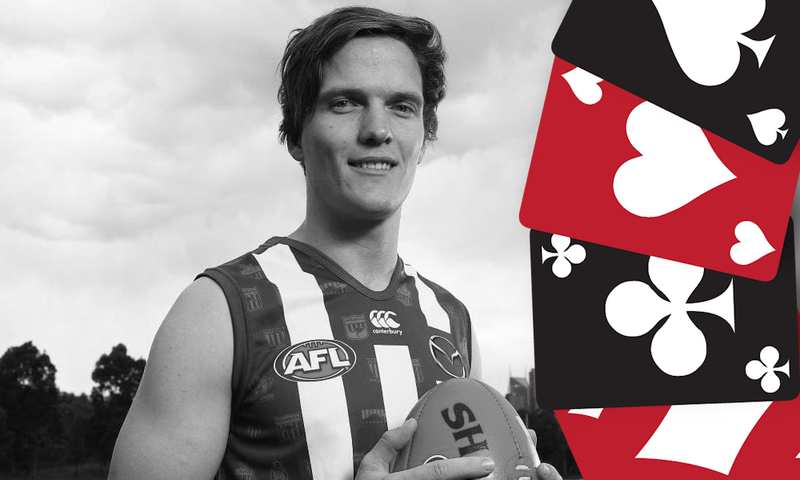 JACK – There is just too much unknown about Polec. He has been talked about a lot over this pre-season but I am just not seeing the value in selecting him. There are just too many players that are providing far more value at his price point. I will be interested to see how he goes against Port, interestingly during his time at the Lions he never actually played against the Power (the team he supported as a kid). As for his average, I think that he could go close to last season’s numbers once again but I just can’t see him getting over 95 and this makes him not worthy of a spot on your starting roster this season. What does Polec average at the Roos? Probably average similar to last year but he will struggle with being one of the higher paid players in the team and his foot will struggle with the hard surface. Thanks for article am appreciating the different reviews rather than just the big boys very insightful. On another note any idea when the app will be up? Hi Euman,, Cheers for the comments. We like to give a good look across all types of players. As for the app I don’t know, but if you stay tuned I am sure that Warnie will post when it is ready to go. A wasted article… could actually write about someone fantasy relevant but instead you waste an article on Polec. Swear you only ever write about players who have played for Port; that’s the third one you’ve done this preseason. I’m a Port supporter too but get off it. Makes you look one-eyed. Hall’s the better NMFC option IMO. Some comments are a bit over the top here. This is a free article that someone went to the effort of writing. If people don’t want to take any of it on board then so be it but no need for the negative comments against the author.